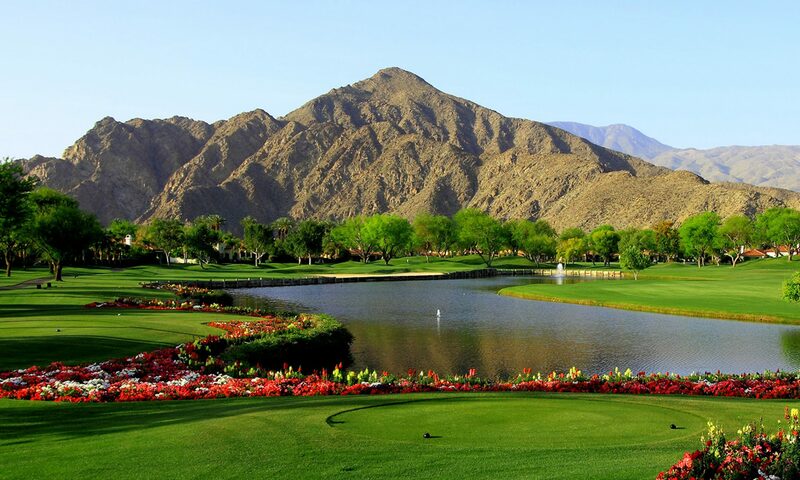 La Quinta, California has a very interesting and rich history that includes the conquistadors and Spanish traders of long ago but mainly revolves around the world famous La Quinta Resort which began in 1926. In it’s beginning, the resort was a main house sorounded by several Casitas. It later added a golf course that is currently the La Quinta Country Club. That course was later sold to it’s members and is now a prestigious private club located across the street from the Resort. Here are some links to get more details on La Quinta’s history. La Quinta also has a Museum and a Historical Society. Carpool to Traditions for our tour. Whether you are here just visiting, a seasonal or full time resident or if you are making future plans, we have an extraordinary amount of very different things to do. Obviously, there is a lot of golf – more than 120 courses – within the Coachella Valley and many welcome the public. Click to find local tee times. Like the outdoors? There are several mapped trails throughout our local mountains including the Palm Springs Aerial Tramway up to the 8,500 foot level of Mount San Jacinto. Each town along the Santa Rosa range has maintained, mapped trails up into the local mountains. We also have a great National Park – Joshua Tree – located on the mountain range to the northeast of Indio. There is an entrance from I-10 about 25 miles east of Indio. If you are more interested in indoor entertainment, there is a great theater show in Palm Springs – the Fabulous Palm Springs Follies – that is very entertaining for the mature crowd since the performers are between 57 and 85 years of age. A great theater for the performing arts is the McCallum Theater in Palm Desert. Just want to go see a movie? Click here to see what’s playing and to buy your tickets. Do you need to entertain the kids? Try Knot’s Soak City Water Park in Cathedral City. Living Desert Zoo and Gardens in Palm Desert has lots of animals from all over the world. Palm Springs Air Museum has a great display of WWII aircraft. How about a balloon ride over the valley? Just want to go out and have a good time? World-class shopping and art galleries on Palm Desert’s “El Paseo” shopping district. Cabazon Outlets discount shopping at it’s best about 40 minutes west of the desert on I-10. La Quinta Resort is having a Facelift. If you have driven past the entrance to the La Quinta Resort lately, you have noticed that it is all torn up! Some residents have been nervous about why those landmark cypress trees have been torn down. Well, the answer is all good news for La Quinta! The old cypress trees (over 60 years old) were removed because they have become diseased and tired. They are being replaced with 100 younger cypress trees and 40 palm trees, which will give the entrance the same elegance with an upgrade. I just drove past today and it is already looking even better than before! In addition to the entrance, the Resort face lift includes a total renovation to the main pool and the snack bar area. On Thursday, Dec. 4, 2008, The Desert Sun had an article about all the scheduled renovations that will be taking place within the next 2 years at the Resort. It is all very exciting and such positive news at a time when we don’t hear much of that! Tom Gorman Returns As Tennis Director! Tom Gorman will be the new director of Tennis at the La Quinta Resort and PGA West this season. This is great news — just one more improvement that the resort has added in the last few years. For the full story, click here. If you’ve come here to look for property, take a look at the Search Properties page. It’s a map based search page using google maps and our local Desert Area MLS data. (NOTE: The MLS data is updated every 25 minutes, so it’s always fresh and accurate). “Non-Gated Golf Course”, “Gated Community” and “Non-Gated Community”. or show whichever type of community you’re interested in. If you zoom into the property level, you’ll see yellow icons that represent homes for sale. Click on one of these icons and you’ll get another info window with a few stats and a link to “view details”. This link will give you a new page with full property details on that particular home. If the property you’re looking at is on a public street (and not within a gated community), make sure you scroll down on the details page to see the google street view picture of the house. Street view is cool — you can move the image around to see the neighborhood and exterior of the house. The website has both homes and land listed. To search land, click on the “Land” tab on the left side of page and initiate your search. Land icons are square and different from the home icons. The search “filter” box on the left part of the page (which is the box with the “Residential”, “Land” tabs etc.) is intended primarily for the property level of the map. The only filter criteria that will work on the community level is price, so if you search for property in La Quinta between $500,000 and $700,000 and you’re on the community level on the map, the system will highlight the communities that have properties for sale in that price range (but if you search for other criteria like beds, pools, foreclosures, it won’t show this info until you zoom into the property level). Lastly, you can always search by “List” too and see your results in a more traditional list format. There is cool feature on the list page too: If you start your search on the map, the property results on the list page are tied to the map page. Whatever is on the map will appear on the list. It’s sometimes handy to zoom into an area on the map, and then look at the list page to view a list of properties on that map screen. All the columns on the list page are sortable, so you can sort by price to see the least expensive home available within the boundaries on the map, or sort by community to group the homes together by community. You can always use the filter to search by City and Community on either the map or list page to bring up all properties available in a specific community. This is just the beginning! Play around and see what you think. Thanks for visiting and please send us your thoughts.